Stars of Erin are delighted to launch their Halloween Football, Hurling and Camogie camp for 2018. Dates: Tuesday October 30th – Thursday November 1st. 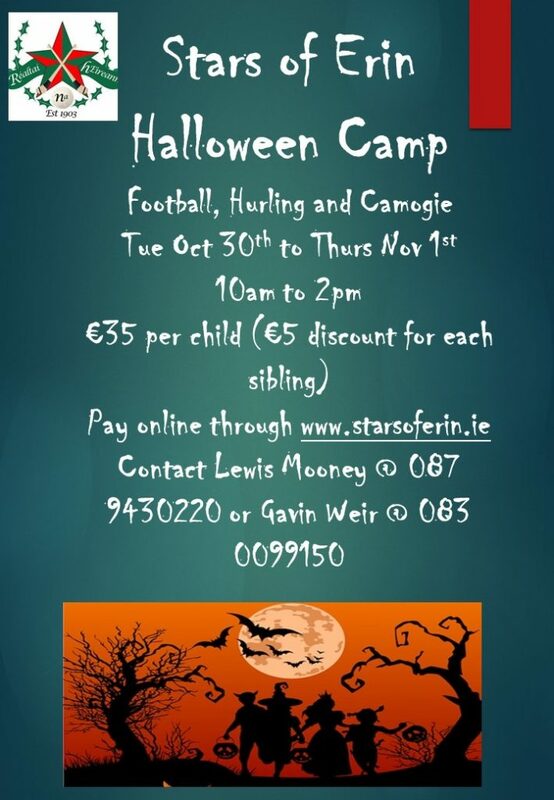 Fee: 35 euro per child (5 euro discount for each sibling). Reserve your place here. Contacts: Lewis Mooney @ 087 9430220 or Gavin Weir 083 0099150.